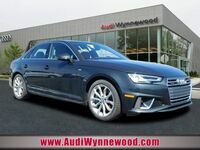 The 2019 Audi A4 is a forward-thinking sedan that has made its way to Wynnewood PA. We have several models for you to consider, and we want to tell you all about this vehicle. From safety features to entertainment systems, we will show you what this vehicle has in store. Let's get started. 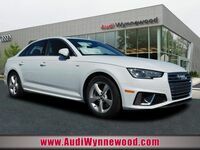 The 2019 Audi A4 comes standard with a 2.4-liter engine. This performance technology delivers 188 horsepower and 236 pound-feet of torque. The power of this engine allows it to reach 60 mph in 7.1 seconds. This model also comes equipped with rear fog lights, Xenon plus headlights, Electronic Stability Control (ESC) and an Anti-Lock Brake System (ASB). Now that you know more about this vehicle’s performance and safety technology, let’s take a look at what other features it has in store. A car is more than just a motor and four wheels. It needs to have style, comfortability, and entertaining features. We want to showcase some of the most important details of this vehicle. Let’s take a look to learn more. We hope we helped you in your search. 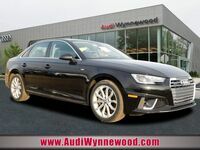 If you would like to learn more about the 2019 Audi A4 or any of our other Audi models, you can check out our online inventory and schedule a test drive with us at Audi of Wynnewood today. 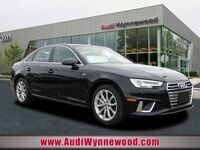 Interested in a 2019 Audi A4?